At least one man who attended the Aug. 11, 2017 white supremacist march in Charlottesville, Virginia, is a convicted domestic terrorist. 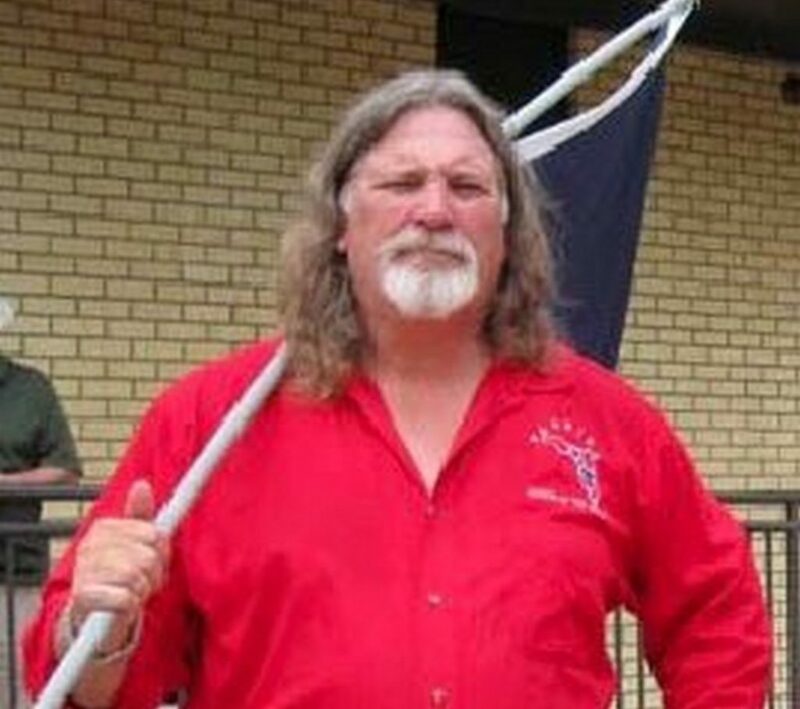 Michael Tubbs, currently the chairman of the Florida League of the South, spent four years in prison after stealing military equipment and plotting to bomb black- and Jewish-owned businesses in Jacksonville, Florida. In 1990 Tubbs, then a U.S. Army Special Forces soldier, was in Saudi Arabia as part of the Pentagon’s response to the Iraqi invasion of neighboring Kuwait. The military abruptly recalled Tubbs from the Middle East to face federal conspiracy charges. It turned out he had been living a disturbing double life. He was involved in a 1987 incident at Fort Bragg, North Carolina in which two armed men — toting weapons fitted with silencers and dressed completely in black — robbed two fellow soldiers of their M-16 rifles during a routine exercise. The soldiers told investigators the stickup men had shouted “This is for the KKK!” as they fled. One of the attackers was Tubbs. The other was a warrant officer named Jeffrey Jennett. The brazen holdup went unsolved for three years until Tubbs deployed to Middle East. That’s when Jennett’s wife tipped off authorities. Federal agents raided five weapons caches—including one at Tubbs’s home in Jacksonville. Authorities seized several M-16s with military serial numbers, thousands of rounds of ammunition, 25 pounds of TNT, an anti-aircraft machine gun, anti-personnel land mines, numerous handguns and shotguns, a 40-millimeter grenade launcher, hand grenades, smoke grenades, tear gas, 45 pounds of C-4 and other weaponry. 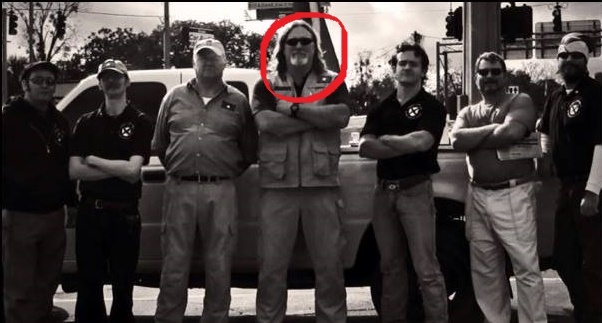 Tubbs’s brother John Tubbs and handyman Stephen Fussell were also implicated. The investigation spanned Tennessee, Kentucky, North Carolina and Florida. Agents believed Tubbs stole much of the military equipment from both Fort Bragg and Fort Campbell over a period of years. Agents also found white supremacist literature and VHS tapes of speeches by Adolf Hitler. “All the literature focused on just a litany of hate against Jews, blacks and other minorities,” ATF agent Willi Ellison told The New York Times after the arrests. The Tubbs brothers were named in a 16-count federal indictment. In the end, Michael Tubbs pleaded guilty to theft of government property and conspiracy to transport guns and explosives across state lines. John also pleaded guilty to weapons charges. Michael Tubbs left prison in 1995. His time on the inside apparently did not change his views. He promptly began running a group called Kinsman’s Comitatus that raised money to support fellow “political prisoners” in the white supremacist movement. And in August 2017 Tubbs was photographed brawling with local residents as Nazis marched on Charlottesville.